Querlo, a Chatbot with a heart is starting to accept GIF media files, it's another innovative initiative from the MTI USA Inc. Querlo has been taking over traditional survey and is being used by numerous brands. Today, I am sharing how I have created the survey entry for this blog. Check out my tips and guides, read on! Video I created about Querlo for the Querlo Video Making Contest. Video is mine. I am a bit excited right now, I was checking on the options on how to get the Querlo video making contest started and I bumped into Micky-the-slanted-salerno new blog post, well actually it was posted the days ago so I should say this isn't that new anymore. However, I had just found it out today so I can still consider it new one at least to myself. So it was really confusing which one to start, I am definitely caught in between writing a blog about a My Own made Querlo or should I make a video now. I have been aiming to get the video up but because I have been very busy lately, I have not started it and it feels frustrating. 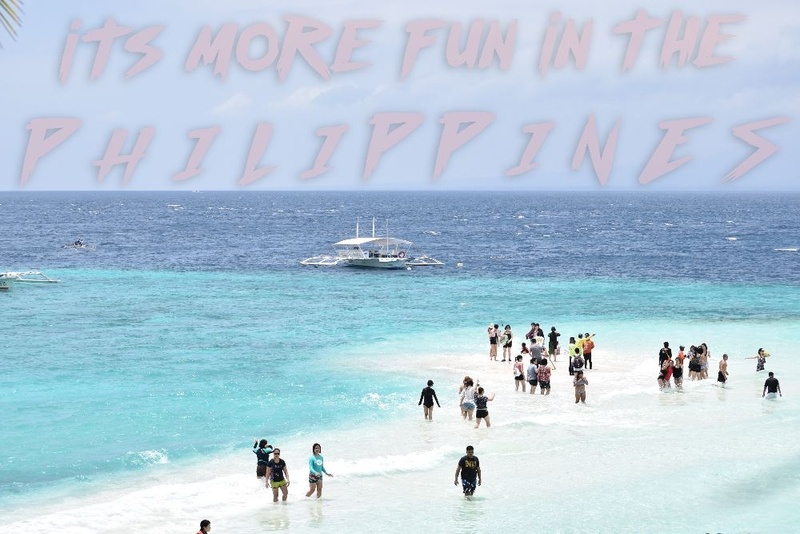 But since I am traveling right now to Oslob, I thought why not start the blog for the My Querlo topic? I then grabbed my pen, Samsung Pen specifically and started scribbling for words which come from my head. I have been a member of this wonderful site since 2015, a lot of users had come and go, only a few had stayed and I am one of the few who are still holding on to sharing contents within bitLanders. It has been fun being part of this innovative community. I had posted almost a thousand blogs, more than a thousand movies almost ten thousand microblogs and more than five hundred photo albums too. It was a great two years of bitLanders in my daily life. It became the medium for which I can express my thoughts, random ranting and other stuffs. Also, it has become a way for me to be able to share the travel stories which I write in every trip that my husband and I get to experience. Plus, it is a place where there are only a few people knows me so expressing my thoughts and feelings makes me free. From the time that I had started using bitLanders, they have been putting up new things in the site. I even had blogged about the one year of innovation before, around one year ago in reverence of the changes and the updates that had come into the site which made it more lively and more interactive. This again is an unending process of growth. From being a simple social media site, it has gone into more than that. It is now a stream of information and even a tool for data collection through the use of Querlo. Photo credit: Screen captured from Querlo.com's site. 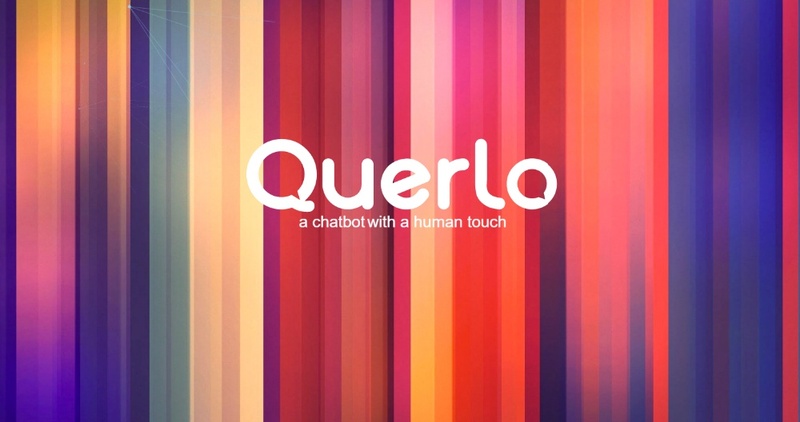 Querlo is a chatbot with a heart. It is also a patent-pending chatbot technology designed to identify, engage, and promote relationships with people (B to C) and clients (B to B), while building a proprietary qualitative database. One of the things that I personally enjoyed was the adding of multimedia items in my Querlo. That time, only photos are allowed to be added aside from external links however, speaking about this innovative site, they can't just stop from there because at this point, Querlo allows adding of GIFs into the chat. GIF or Graphic Interchange Format is an interesting addition to Querlo but it is not new to me. Jumpshot for making my own Querlo. Photo is mine. I have been adding GIF to my bitLanders blog for quiet sometime now and that it has not just given my blog an additional fun but also gives a motion feel to the article which I believe will not only entertain the readers but also elevates their interest to the blog post. Which is why, I am adding GIFs too in my newly created Querlo chatbot. It didn't require much time for me to decide what will be my second Querlo because I have no other means of information to be given but for traveling. 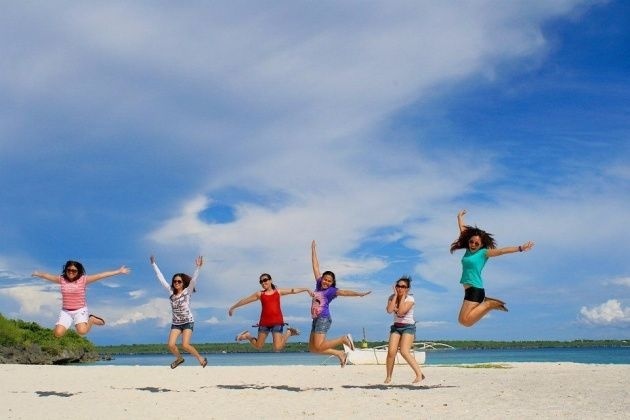 So yes, the topic is about Cebu and its top summer destinations. This is perfect because summer has just started here in the Philippines, this will encourage the readers and audiences within bitLanders to visit the Philippines or shall I say Cebu specifically due to the information shown in this chat bot. Tip: It is a bit challenging to create a Querlo without a guide so be sure to create a draft first, as for me, I created a written flow chart draft. This includes the information and the questions I am going to add in the chat bot. 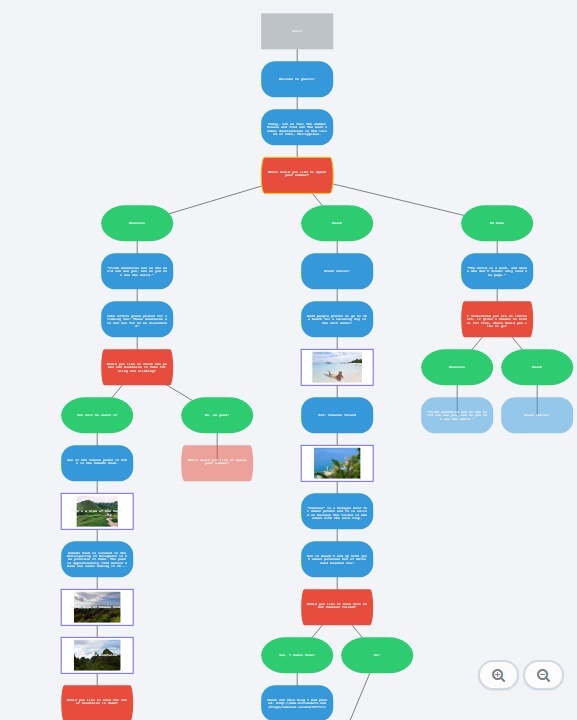 The flowchart also gives me an overview of how will the images and GIFs be inserted, which part and which section requires a Yes or No answer or if I should just reroute the questions to the query. This would be the start of the survey and it should be pleasing and striking enough to catch the attention of the audience, the surveys should always be like that - friendly, intuitive and as much as possible, attractive meaning with media files included in it. 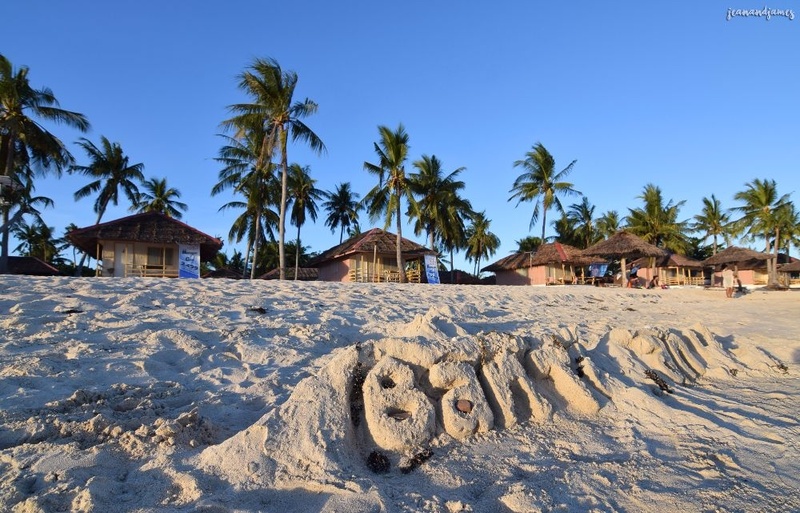 Talking about that, I have added a very eye-catching image of Cebu which is what it is very known of - white sand beach of Bantayan Island. A greeting stating and wishing the participant of a great day. And included is also a GIF showcasing a glimpse of Cebu. Querlo was developed to enhance traditional survey. It was created to make life out of the dying world of surveys which only has questions in every section of the paper or the screen. This section right here is an additional paragraph which discloses the facts and other information about the topic. Like when I said something about Cebu. There are factual data added to make the Querlo survey a source of knowledge. Life is like a vacation, it goes way too fast and you wish you had taken more pictures. Querlo now has been referred as a survey with a human touch mainly because of the intensive artificial intelligence added into it that gives its audience the feeling of talking directly to someone at the other side of the screen. Like sending answers to another person through the use of technology. These days or shall I say in this generation where instant messaging is a total hit, it is also necessary for the survey world to upgrade and align themselves to what is "in". Querlo is now the best answer to enhancing survey qualities. Photo and edit is mine. Thus embracing this change will not only be for the audience but for the brand as well. So better questions and better technology to present the questions is the answer to having more interaction rate and completion rate at the same time. These screen captured from Querlo.com. 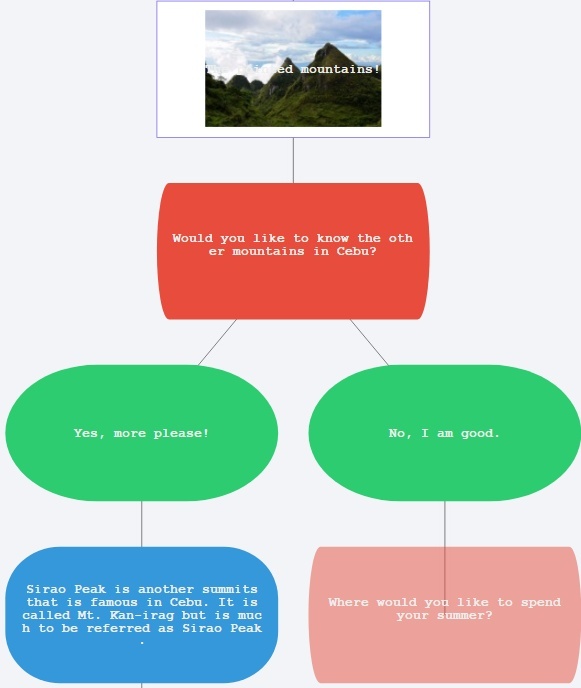 As for my Querlo, the questions are all related to the topic such as asking if one has already gone to Cebu or perhaps heard about Cebu and if they would like to spend the summer in Cebu as well. All about Cebu as the topic is Cebu. Of course, as an end to every conversation, each participant should have this light feeling that even after answering such questions, he or she still has the energy and enthusiasm to answer another set. This can be done by first creating a short but compact survey, making it enjoyable to continue and creating a striking or impacting end. It must have the happy vibe and check more of this feeling. I had one answer to this and that's adding images as the ending. 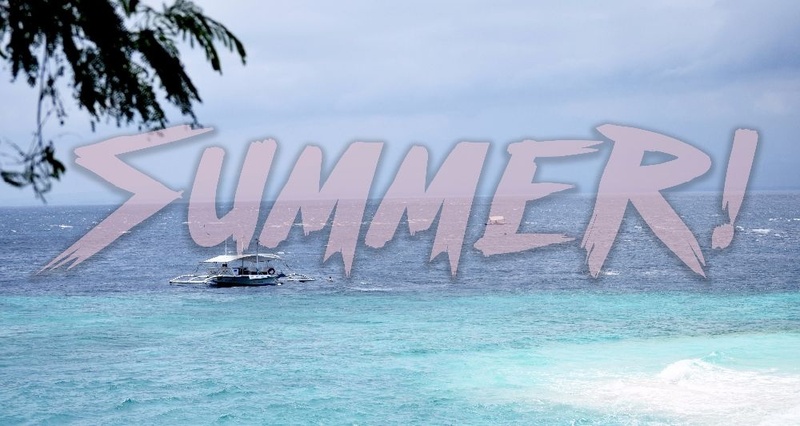 I have ended my survey with a GIF of the top summer destinations of Cebu and it should leave the participant the feeling of I want to know more about Cebu and also it encourages the user to also check the other chat available since the first one had given him/her a great experience. 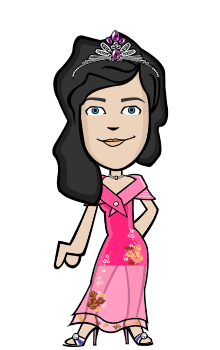 Hope you had enjoyed and learned something, you can now create your own Querlo too! M getting it friends, try once better then this..
buzz me all i'll do the same for you!